Can’t decide whether you need a hiking buddy? Aren’t sure how to divide the weight on a journey? Wondering how to find a partner in a trail? If the answer to any of these questions is “yes,” then you’re in the right place! For your convenience, we’ve placed the contents of this lengthy guide here. Just choose the chapter you need and go to it directly! We’ve also gathered some useful links and added them to every category. Take a minute to check them out—they will tell you a lot about group hiking. When talking about hiking companions, the first question to answer is this: Do you even need to find a hiking buddy? There are many benefits to taking hiking trips together, but working in a group always brings its negatives as well. In this section, you’ll get to know the pros and cons of traveling alone. We’ve gathered the most persuasive facts for both sides. Spoiler: Both ways are great! In the wild, partners aren’t always wanted. Choosing your destination, pace, activities, campgrounds, food, and many other things aren’t that easy when you’re with others. Groups often waste a lot of time and energy coming to an agreement about this stuff. When hiking solo, every decision you make is completely up to you. It’s great not to have to compromise with others and to be able to travel as you like. Hiking solo is an opportunity to test and demonstrate your best abilities. You have to solve any and all troubles on your own—from cooking dinner and setting up camp to facing wild beasts and handling injuries. Why are you going hiking? For the landscapes, pictures, or maybe just the sounds of birds singing? Whatever it is, you can forget about quiet evenings in the wild if you’re group hiking. Of course, it depends on the size of your group. If there are just two of you and you both have an interest in enjoying the views, it’ll probably be fine. But if there are four or more mates with you—there’s no guarantee that you’ll be able to find that connection with nature. Many of us are looking for a hiking buddy even among strangers. For safety. We just can’t ignore those shocking articles and TV news stories about bad things happening to travelers. That’s why having a hiking companion by your side can be so important during outdoor activities—especially for female hikers. Whether we like it or not, there are mean people out there. And to protect yourself and your supplies, you may want to call a friend and ask about their plans for the weekend. A solo traveler has to take a lot of stuff, even for an overnight trip. But when you’re traveling together, you can share many things like a tent, cooking pot, and first aid kit. By dividing your camping supplies among your group, you can lighten your backpack by at least 1/3! No matter how light your supplies are, those going on solo travels can never achieve such low weight. When you travel, friends can be impossible to replace. Everyone has their own skills and talents, and many of these can help you in challenging situations. Imagine—one of you is a doctor, another is a great navigator, and another has perfect survival skills. Without travel mates, all of them are just experienced specialists. But what happens when we put them together? We get a strong and independent team, ready for any trouble. Being afraid of accidents is natural. After all, outdoor activities can’t always be safe. When you find a walking buddy, you can be sure that someone is always there to take care of you. In case of illness or injury, you’ll have nothing to worry about if you have a friend on your side. Even the toughest among us are looking for someone to travel with. Experiencing new trails with friends is an inspiring activity that improves your relationship. You get the chance to know each other better and learn new things together. You may think that taking friends hiking with you will be a lot of fun. But what if your friends like to spend their weekends watching Netflix instead of going outside, expending energy, and taking pictures of trees? Then we advise you to use technology to find the perfect hiking buddy! In this chapter, we’ll introduce the most effective ways to find a travel partner—from hiking clubs to Meetup. Facebook communities aim to bring people together. There are groups for writers, music fans, DIY crafters, cat lovers… And of course, you can find a hiking group there, too! 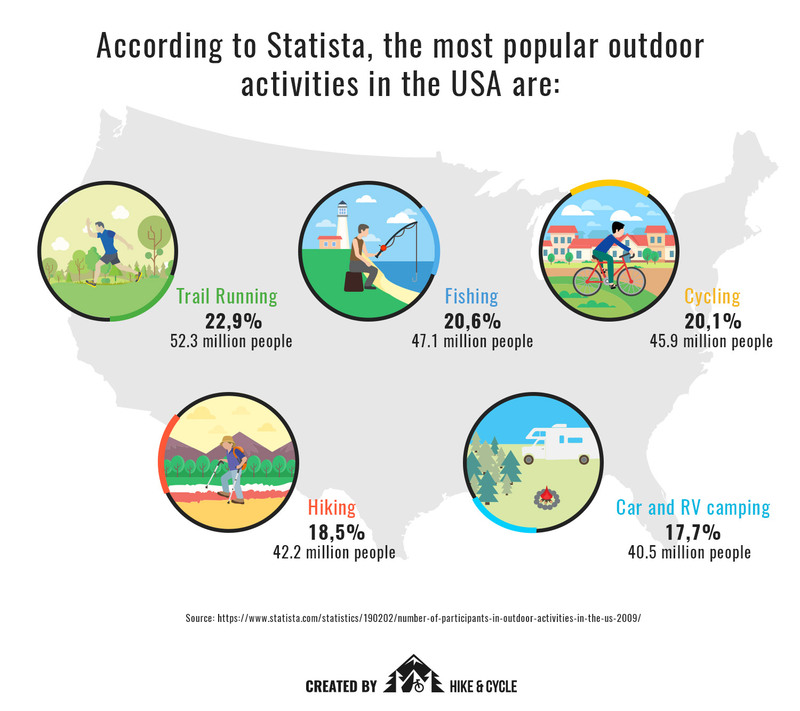 There are hiking communities for almost every area of the United States. Not only can you find a place to chat with like-minded people; you can actually plan a trip with those who hike near. Keep in mind that you ought to be careful when choosing a partner. Remember, there are still bad people out there, so you shouldn’t trust strangers easily. This is a much better way to meet camping buddies. In every state, you can find hiking organizations whose members travel every week. You can join one of them or even lead your own trip. That’s right! Oftentimes, clubs are searching for leaders or co-leaders, which means you can become one and show off your favorite trails to others. We’ve gathered just a few databases of popular US camping groups. Use them to find a hiking group just for you. Hiking and Backpacking Clubs: Hiking and Backpacking has a list of outdoor clubs for every state. American Hiking Society’s Alliance of Hiking Organizations: Find local clubs and trail groups among 200 organizations. Hiking Associations and Clubs: This database has trail associations in Colorado, Arizona, Florida, Georgia, Alabama, and much more. Hiking Lady Outdoor Organizations: Try this source to find associations worldwide, including Canada, New Zealand, and the UK. Adventures for Women: This organization unites outdoorsy women from all over the United States to hike, climb mountains, and kayak. Appalachian Mountain Club: Their interactive map shows planned events in Philadelphia, Maine, Washington, and other areas. The Blue Ridge Hiking Club: Try out some fascinating adventures in North Carolina. Visit a seashore, go to the woods, or climb some mountains! Mountain Club of Maryland: This site has an updated schedule of outdoor events, with many mountain trails and adventures that are free for you to join. Wild Earth Adventures: Enjoy skiing, cycling, and viewing the magnificent scenery of New York, Pennsylvania, and New Jersey. Prescott Hiking Club: Explore the outdoors of sunny Arizona with pleasant company. Nature preserve associations exist to popularize outdoor activities to stop people from harming wildlife and encourage them to become volunteers to save it instead. Looking for a hiking buddy is easier when both of you want to preserve nature. For example, Sierra Club is perfect for building relationships with other fans of outdoor activities. It has chapters all around the United States—you can even find them in Alaska, Hawaii, and Puerto Rico. Sierra Club actively participates in environmental protection, and you can support their work by becoming a member of your local chapter! There are many programs available to participate in. You can even “adopt a pet” by donating $39 to $79 for the symbolic adoption of a wild animal in US habitats. In return, Sierra Club sends gifts to you. In many areas of the country, Sierra Club also organizes hiking tours. You can join one or even lead one if you’re experienced enough. Sierra Club’s website has a “hiking near me” function. Just click Sierra Club Near You, and you’ll see all the upcoming trips in your area. For example, in California, there are ten routes planned on the weekends. Who knows? Maybe you’ll meet a trekking buddy on one of them! Meetup is a fantastic service to find like-minded people for various activities. There are more than 32 million users from 182 countries. These users constantly create and search for groups and events. Hiking is one of the most popular activities on Meetup. In fact, there are almost 10,000 Meetups for adventure lovers worldwide! You can search for backpacking, walking, kayaking, camping, and workout partners. With this service, you will always stay informed about upcoming trips and outdoor activities. Many people find hiking friends on Meetup and then travel together later. If you’re a student, you have a huge opportunity to make friends with other adventurers. Today, many colleges and universities have outing clubs to gather hikers. Reed College takes care of Reed Canyon by cleaning and restoring it. The college provides free gear for its students and organizes nature trips. Bowdoin College is a great choice for kayak lovers. Its students often travel to Mountain National Park, climb mountains, and camp in beautiful places. Linfield College isn’t big, but it offers great opportunities. It’s surrounded by more than 10 national parks, which are possible to hike to from campus. It also has two groups: an outgoing club and a climbing club. Green Mountain College is the perfect place for those who like nature. Every student can rent climbing or skiing gear for just a dollar per day! Appalachian State University is located near several Appalachian trails, which attract visitors from all over the country. In fact, the majority of students say they chose this university because of the hiking opportunities! The university supports their students’ enthusiasm and places them in internships with leading US environmental organizations. The University of New Hampshire is located in a beautiful area of New Hampshire, surrounded by rivers and woods. Every weekend, the university’s outing club gathers its members for one or several adventures. It also has many majors related to wildlife and nature. Cornell University has its own outing club with around 2,000 members. For a nominal payment, students get access to traveling and climbing gear. It’s also possible to earn credit by taking classes in hiking activities. University of Oregon is located near the beautiful Lake National Park. And just a couple of hours away is the ocean! It’s a perfect university for climbers, skiers, and campers. University of Hawaii — What could be better than a trip to Hawaii? Only the opportunity to combine fantastic adventures with academic success! Black Hills State University is a great place for cyclists and climbers, with bouldering trails and mountain routes that are free for students to visit. In previous chapters, we discussed where to find an outdoor activity partner. We also helped you decide whether to travel solo or with friends. Now, with so many ways to find a buddy, you can be a little bit picky. Find someone you make a good team with. But how should you choose? In this section, you’ll find out which features to pay attention to. Backpacking trips differ a lot in terms of difficulty. The same is true for most outdoor activities. Traveling with someone who’s much more or much less active than you can be exhausting, and neither of you will be satisfied with the adventure. – When choosing a trail buddy, compare your abilities. – Ask your partners about their experience. – Start with a short trip to check their abilities and skills. When you’re out on a trail, you’ll probably see some partners who haven’t followed this tip. Usually, one of them insists on setting up camp, while the other is full of energy. This isn’t the most pleasant way to travel. Do you want to take a lot of pictures? Or float down a stream in a canoe? View landscapes or go skiing? No matter what activity you choose, it should match the goals of your friend. Make sure that you’ve planned every hobby and have found compromises for each activity. – Search for a partner in a specific interest group. Don’t just search for a hiking partner— search for a photography traveler, skier, or cyclist. – Plan every activity on paper and stick to the schedule. – Make sure that nothing can interfere with your plan. Bring a power bank to charge your camera or tools to repair the bike. You may think that experience is the most important thing to care about when searching for a partner. But it’s also important to compare your equipment. For example, if your buddy has the newest bicycle with fantastic features that you’ve never even dreamed of, can you beat her in a race with the old gear your father used he was young? – Try to find someone who owns gear of the same price and quality as yours—this will make your adventure more comfortable. – If possible, the person with the better gear can share it—like a compass or binoculars, for example. – Search for rental gear in your city instead of taking outdated equipment. Whatever you want, you can get in a matter of minutes. But when you’re traveling together, every food item, pot, and plate you take adds weight your backpack—so it’s important not to take too many things. – If you’re planning to cook fish for dinner, make sure your fellow traveler likes seafood. – Ask your buddies if they are allergic to anything. You don’t want to end up in a hospital. – If your friend is vegan and you’re not, remember to take two cooking pots. Fellow mates can’t always be perfect. Sometimes, you just have to have patience and deal with someone who isn’t physically fit enough to keep up with your pace. In this part, Hike&Cycle will give you some tips on how to handle a weaker trip buddy on the trail. You’ll find out why you should take a moleskin with you, how to make your partner faster, and how to behave during conflicts. 1. Take care of their health. Some people are too stubborn or proud to admit that they’re out of energy. And keeping up with a stronger companion can make them sick. – Before the trip, give them a checklist of necessary medicines, water, and food supplies. – Decide when to take a break depending on their feelings and behavior, not yours. – Check your partner for symptoms of heat stroke, fatigue, or high blood pressure. – Don’t expect too much from beginners, especially if they’re not physically fit enough for long walking. For beginners, it can be difficult to handle every challenging part of an adventure and still enjoy the landscapes. – If you’re much stronger than your travelmate, help them carry their supplies. – Share your personal tips on how to survive in nature. Teach them how to conserve energy, distribute the load, and build a camp. – Take on more responsibility. If you have a lot of energy, prepare the food or make the shelter while your partner rests. – Share your gear. If possible, let your friend use your tools—for example, your kitchenware or knives. It’ll help make the job faster and more comfortable. 3. Don’t lose sight of them, but do give them space. It doesn’t matter how much you like your skiing or kayak partner—maintaining a slow speed can ruin all interest you have in traveling further. Many hikers go alone for a short distance and then wait for their companions. This is a nice way to try solo hiking and give your friend some independence. – The most important thing here is to take breaks at nearby destinations. Stay close enough that your mate could call you for help or rest. – Never leave your partner completely alone—everyone’s first solo trip should be a conscious decision, not an accident! – Have a specific signal chosen to draw each other’s attention—a whistle or a single star, for example. – Take a radio set with you to stay in touch. – Have two sets of maps, navigators, and first aid kits. 4. Find a hobby to take up during the trip. When you’re traveling with a weak partner, you probably knew it long before the day of the hike. If seeking a senior buddy didn’t succeed, you have some preparations to make. Since a weaker partner will definitely be too slow for you, you need to reduce your pace as well. – Take a moleskin with you and learn how to draw landscapes. – Draw or paint some pictures, applying the basic rules of composition and color. – Download some fun apps from our hiking apps guide. Read our reviews to make a wise choice. – Learn how to identify any bird in the United States just by its sounds or feathers. – Search for edible fruits and berries in wildlife. – Master a musical instrument. A flute is perfect for nature and easy to carry. – Make a collection of rocks, pine cones, seashells, feathers, or leaves. People to travel with can sometimes be rude—especially when they’re tired. Your partner might feel awful on a desert trail or at high altitudes, and the fact that you’re stronger certainly won’t make the situation better. Try not to be too hard on them, or you’ll have to find a new vacation partner next time. – Don’t get angry when they’re snapping at you. Try to help them instead—carry some weight or give them advice. – Plan your trip well before you leave the city. It’s great to have a paper map with a route and schedule in case of conflict. – If you can’t make a decision together, toss a coin. – Try to resolve a specific problem, not the conflict in general. The right decision might reduce negative emotions. – Be a leader. As the more experienced hiker, you have to do everything you can for your team to benefit from the trip. V. What If Your Partner is a Dog? Who said the best companion is a human? Many travelers prefer to go hiking with dogs instead. If you take a four-legged partner, make sure the dog will be safe and comfortable throughout the trip. Make sure that your dog is ready for long distances. Never take a young puppy on a trail—its bones and muscles can be damaged by long trips. 1. If your dog will carry some weight, buy a small backpack for them. Remember that dogs should carry at most 15 – 20% of their weight. 2. Be ready for animal injuries. Dog hiking is a great pleasure, but it can also be dangerous. Pack a first aid kit for your dog that contains hydrogen peroxide, an eye dropper, and gauze. 3. Take a muzzle in case your dog gets injured. Even the kindest dogs will bite if they’re in pain. Also, always bring a leash with you—even if you’re going to a dog-friendly park. Your dog will need 50 – 120ml of water per kilogram of body weight per day. The rest depends on your dog’s activity level, size, fur type, and age—as well as the outdoor temperature. Even the best hiking dogs—like retrievers, huskies, and border collies—get tired. Monitor your dogs’ behavior to see whether you need to take a break. 6. Buy high-quality dog gear. Life jackets, boots, leashes, water bowls—everything should be comfortable for your pet. Don’t buy cheap stuff because you’ll probably just have to fix it after the first trip. Now you know how to find the best hiking buddy for your goals and distances. All you have to do now is meet one! We listed the most popular ways to find a travel partner and gave some tips on what to do if your partner is weaker than you. In the last chapter, we even made some useful recommendations for those traveling with dogs. How do you search for hiking friends? Do you prefer to travel solo or in a group? Share your ideas and stories in the comments!